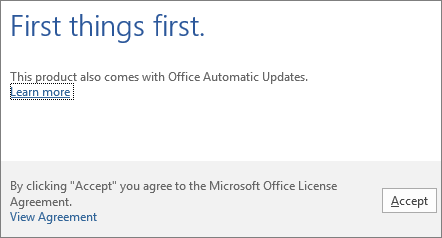 Once logged onto portal.office.com, select Install Office 365 in the top right corner. On the next page, select Install. 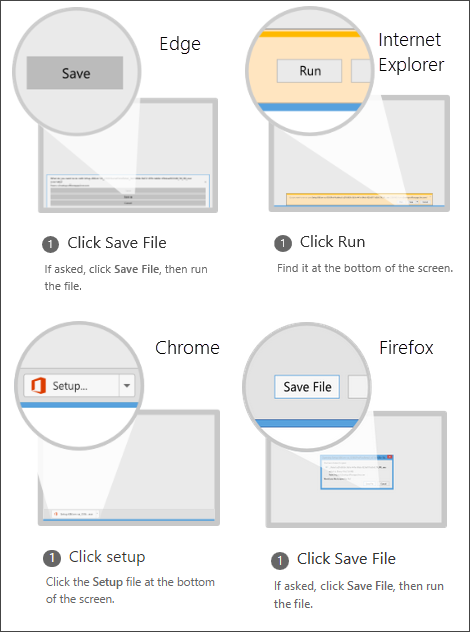 Depending on your browser, go to the install pop-up that appears and click Save (in Edge), Run (in Internet Explorer) Setup (in Chrome), or Save File (in Firefox). If you see the User Account Control prompt that says, Do you want to allow this app to make changes to your device?Yes. 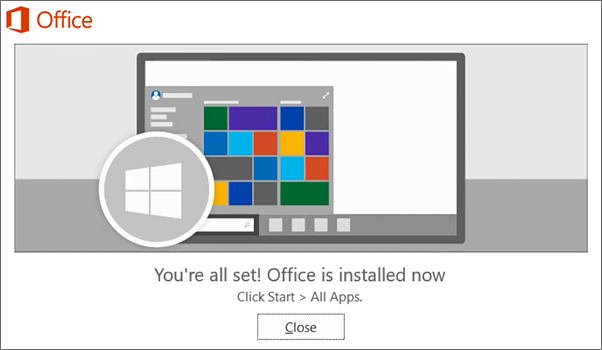 Your install of Office 2016 is finished when you see the phrase, You’re all set! Office is installed now and an animation plays to show you where to find Office applications on your computer. Follow the instructions in the window, for example Click Start > All Apps to see where your apps are, and select Close.